Are there any pros to a wood shake roof? Why would someone choose to have a wood shake roof? If wood shake roofs are new to you, you may find yourself asking some of these questions. There is, in fact, many advantages to getting wood a wood shake roof. If you can handle a little regular maintenance and a bit more cost. Choosing to go with a wood shake roof will give you a beautiful roof that is essentially handmade as wood shakes are hand-split rather than manufactured. These roofs are also very durable and resistant to severe storms such as hurricanes, hail storms, heavy rain, and even snowstorms. 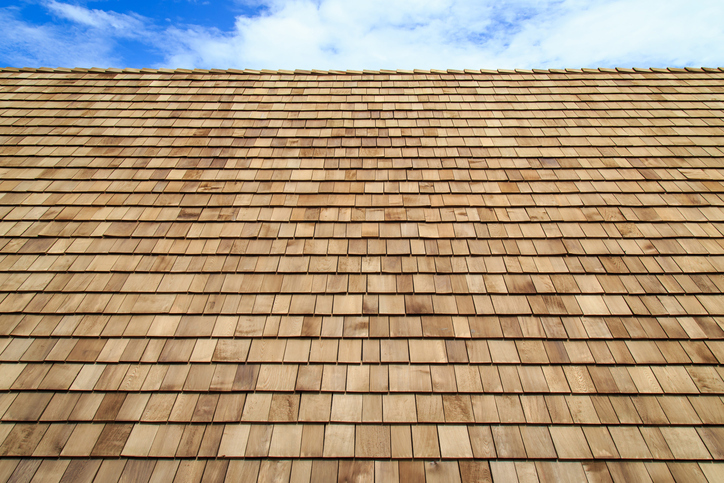 Wood shake roofs have also been known to be more energy efficient than standard shingles. Depending on the style of your home that you are looking for and the climate of your location, a wood shake roof could be just right for you. To learn more about these beautiful roofs, give our roofers a call. We will provide you with the answers you need to get the right roof on your home!